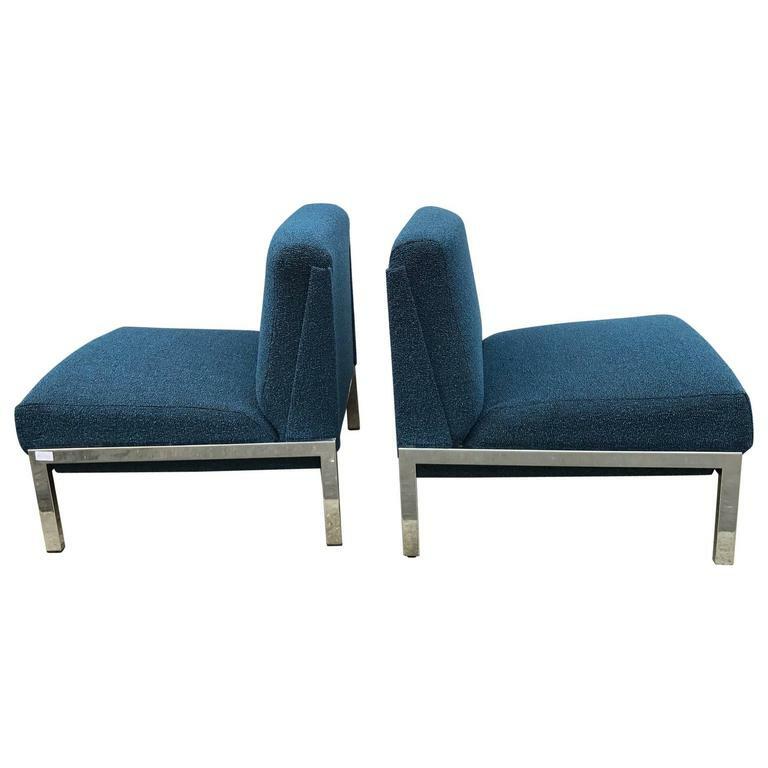 CM190 slipper chairs by Pierre Paulin, France, Thonet editions. Recently reupholstered with a beige fabric by Bisson Bruneel. Beautiful pair of vintage slipper chairs designed by Edward J. Wormley for Dunbar. Upholstery is a metallic silver silk with mahogany bases. Pair of tufted slipper lounge chairs by Florence Knoll. Manufactured by Knoll, circa 1955. Solid teak wood frames. Freshly upholstered in Holly Hunt Heritage fabric.